Psst. Hey Kid … looking for Flappy Bird? I’ve got a copy for you right here. If you missed it and are looking to get your hands on Flappy Bird, that link really works. Want to try the hottest game maybe of all time? You can, as long as a) you’re an Android user, b) you click the link from your Android device and c) have enabled installing Apps from sources other than the App store. Truth be told, you also can use the link to get Flappy Bird running on your Android device by clicking the link from a computer, downloading the Flappy Bird APK file, transferring it to your Android phone or tablet, and then opening the Flappy_Bird_v1.3.apk file manually, but as a game Flappy Bird just isn’t worth that effort. Wait; you’re an iPhone or iPad person and you want to try Flappy Bird? That’s even harder. Move on. Please: consider Flappy Bird dead. Or … let’s talk about Influency, Marketing, Software Patents, Business Change, and the place where Flappy Bird intersects with all of them. I’ve written about games here only a few times. The point isn’t to do reviews. I came down hard on Epic Mickey because Disney clearly didn’t understand the point of gaming, told you that the Nintendo 2DS could spell the end for Nintendo and their entire DS line of gaming systems, and questioned the value equation for consumers in Humble Bundle. But the thing I’m always looking for in pursuit of Influency opportunities is different thinking. I love this college course, for example, and I believe video games present a great chance for modeling and creating business change. Flappy Bird, trifle of a game though it was, represents both business change and real influency. Flappy Bird was an amazing catch-lightning-in-a-bottle business story. Small and simple enough that its creator cobbled it together in just a couple of days and unchallenging enough from a development standpoint that a plethora of clones popped up in even less time than that, Flappy Bird sat around for about six months doing nothing and then almost overnight was downloaded over ten million times. 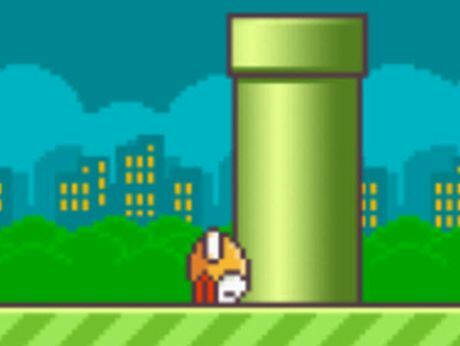 And then, flush with the windfall of $50,000 in daily advertising revenue, Flappy Bird’s developer pulled it. The removal of Flappy Bird from both the Google Play store and the iTunes store seems not to be a marketing scheme and Flappy Bird developer Dong Nguyen claims there were no legal issues involved. He’d simply had enough. Of course, he made a bunch of money and is in a place with a very low cost of living, so that choice was easier for Dong Nguyen than it would have been for most people. Let’s give Dong Nguyen the benefit of the doubt on his motives; he seems sincere. Let’s also talk about some of the ancillary issues that Dong Nguyen says weren’t involved in his decision to kill Flappy Bird. Mr. Nguyen created a game that, speaking of Nintendo, borrows in a pretty obvious way from some of their older games. And yet, Nintendo was making no attempt to stop Flappy Bird. Is this because Nintendo has become a company of really nice people? Is it because they saw no easy way to sue an individual living in Vietnam? Maybe. But more likely we’re seeing an evolution in the way software patents are approached and defended. I’ve long said that most software patents are a bad idea. There was nothing remotely unique about Facebook’s Newsfeed Patent 7,669,123. Billionaires abuse software patents. And should all software be free? No, but pretending that a box or a pipe is somehow unique is ridiculous. The legacy of Flappy Bird will have nothing to do with the game itself, and Dong Nguyen’s claim that he pulled Flappy Bird from the market because it was changing his life for the worse won’t be something too many of us remember for very long. But, if only indirectly, the Flappy Bird story could have a big impact on the way intellectual property is handled moving forward. And that will be its legacy. And its Influency. Again, you can download the Android version of Flappy Bird, here. And if you want to talk Influency and Thinking Differently, just reach out.